Below you will find the frequently ask questions. You questions not below? Contact us today via email or phone. What is the Doorstep package? 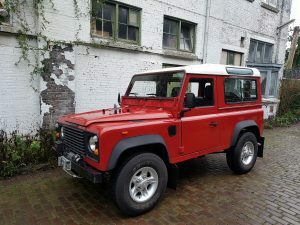 The Doorstep package is a service to get your Land Rover Defender or other Classic to your doorstep as soon as possible. Are you on the lookout for a Defender for a while now? And would you like to purchase overseas, but don’t want to deal with all the hassle and paperwork? Than the Doorstep service is the way to go: You don’t have to worry about anything! You buy the Land Rover Defender of your dreams and add the Doorstep service to your purchase and we will take care of the rest. 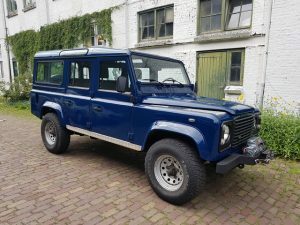 Which Defender model should I choose? Then there are all kind of models like a single cab or crew cab or, a high cap pick-up or a station wagon. And you could also choose left-hand-drive or right-hand-drive. Which model is best for you depends on how you’re going to use the vehicle. If you want to have fun with friends or family, the station wagon D110 is something you could consider. A bit smaller but just as fun is the D90. Still enough space to fit in your siblings or friends in the back! If you want to look to the stars, when lying in the bed of your truck or if you want to transport larger equipment, then the hi-capacity pick-up (HCPU) is the way to go! Little bit of everything? A D130 is the way to go. They’re harder to find, so usually more expensive, but look at the space! Would you like some advice? Just ask! Do I know you from the Defender Source? Yes, I’m a member of the Defender Source forum. My name there is Forest, since my company was named Forest Mini’s before. If you like to know a little history on the company, click here. If you are a Defender Source member, you can view my profile here. Can you build me a car? Yes we can! The question for you is: do you already have something in mind? Have a look in our inventory to see what we have for sale. We could talk about the model, color, features, price, etc. and we will help you choose. Contact us today via the contact form below and we’ll contact you to talk about options and wishes. Yes, we can arrange shipping. When you buy your Defender we’ll discuss all options. We can deliver the cars all over the world to your doorstep. We only work with the best shipping companies to guarantee a safe trip to your home. Try our Doorstep-service and get your Defender worries-free delivered to your home as soon as possible. I´m interested in a car, can you send me more pictures? Yes, of course I can. Tell me which car you’re interested in and I’ll get back to you as soon as possible. If you would like me to take pictures of certain areas or if you like a video of the car, just ask. Is the car legally imported into the US? Yes, all cars are legally imported into the U.S..
All the cars are older then 25 years old and factory original, so there are no problems. 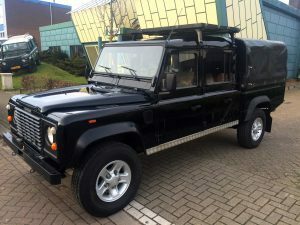 We offer a package deal to get your Defender to your doorstep or you can arrange shipping yourself. As a service, we always arrange Dutch export registration documents and we guarantee entry into the USA. Can I have a third party inspection? Yes, you’re welcome to send a TPI. The cars are available at the warehouse in Miami or in our workshop in the Netherlands. It’s also possible to get more pictures or videos. Just fill in the contact form and mention the car your interested in. We’ll contact you as soon as possible. Does the car come with any warranty or returns? All the vehicles are ‘sold as is’. Because of the age of the cars, they don’t come with a warranty or any return policies. If any, the issues on the car will be described on the cars description page. You’re welcome to bring your mechanic over to inspect the vehicle to give you that piece of mind that you’re getting a great car! We do guarantee a safe and legal entry into the USA. If you don’t like to deal with all the paperwork and all the hassle, try our Doorstep-package! Does the car come with a title on the vehicle? The cars that are in Miami, FL have a clean and clear Florida title. The cars that are in our workshop in the Netherlands come with a clean and clear Dutch title. 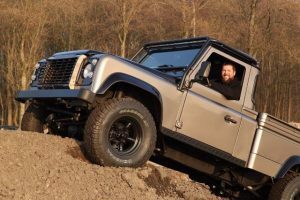 Every Land Rover Defender is imported legally and without any risks into the USA. We can arrange or help you with shipping worldwide at cost. Try our Doorstep-package to get your Defender safe and worry-free to your doorstep as soon as possible!